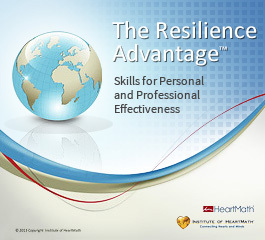 You can become certified to provide HeartMath resilience training – The Resilience Advantage™ – to groups anywhere in North America and many countries elsewhere in the world. Organizational trainer’s license – for those who, in the course of their employment, provide training programs within or on behalf of their organizations. Independent trainer’s license – for those who wish to sell and deliver HeartMath resilience training in any market, including the corporate, education, nonprofit, government, law-enforcement, military, general public and health-care sectors. 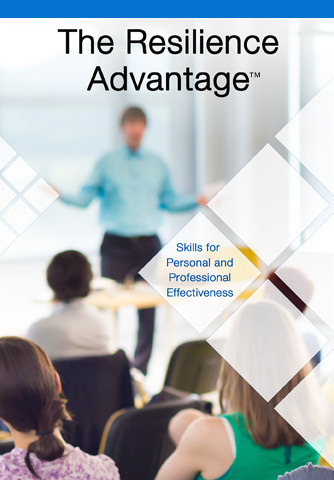 When you complete the HeartMath Certified Trainer program, you also may elect to incorporate any of the Resilience Advantage™ modules, tools or techniques into your existing training programs. For the staff of nonprofit organizations and for-profit companies, including schools, universities, community and social-service agencies, government institutions, hospitals, clinics and health-care companies and agencies. *Please Note: There is a special stress resilience version of The Resilience Advantage designed for Law Enforcement, other First Responders and Military Service Members. Numerous independent, peer-reviewed studies have validated significant and sustained improvements such as reduced stress, improved employee health, well-being and communication, lower health-care costs, shorter meeting times and increased productivity and resilience. Benefits of this training include better sleep, more creative decision-making, improved teamwork and morale and greater ability to effectively deal with difficult people, deadlines and other challenging situations. Contact Christiana Bishop at (831) 338-8706 or training@heartmath.org. Certification to deliver the Resilience Advantage program is conducted via four individual telementoring sessions and four days of in-person immersive training. Once certified, trainers may conduct public workshops or train staff of nonprofit organizations and for-profit companies, including schools, universities, community and social-service agencies, government institutions, hospitals, clinics and health-care companies and government agencies throughout North America and in many countries elsewhere in the world. Instruction on how to deliver the Resilience Advantage workshop or selected modules of your choice. Ongoing support with a HeartMath facilitator. Regular program updates, new developments and support materials. Participants attend 4 private pre-certification tele-mentoring sessions with a Certified HeartMath Mentor and/or HeartMath faculty member to prepare for the in-person program. These sessions are mandatory and required to receive certification status. *Note: Training materials are available in English. Save $750 off of the regular price and we’ll include an emWave® Pro, multi-user technology kit valued at $299 when you register by April 10, for any our training certifications beginning June 6, 2019. For training certifications held at HeartMath Institute Research Center in Boulder Creek, CA: $5,495 (Includes all meals plus free consultations with HeartMath Staff). Special discounts may be available for educational organizations, nonprofits and government agencies. Call to see if you or your organization qualifies. Complete the application form and click the “submit application” button. You will receive an immediate confirmation email that you will be contacted within two weeks. A 30- to-45-minute phone interview will conclude the approval process. Receive a confirmation email that includes a link to pre-instruction materials. Schedule and complete four phone appointments with designated tele-mentor prior to event. Upon approved registration, participants will be sent a link to pre-certification training materials. Participants are expected to thoroughly familiarize themselves with this material and complete four tele-mentoring sessions in advance of the training program. All HeartMath Certified Trainers will receive regular email messages containing program updates, stories and strategies for their program deliveries. A representative will be appointed to support their efforts. They will have access to updated documents, articles, files, grant funding information, new materials, stories, etc. on our extranet trainer website. Minimum system requirements: PC: Windows Windows® 7 or newer; Mac: OS X v10.7 Lion or later. Microsoft PowerPoint 2010 or newer. Broadband access to download webinars or other materials as part of ongoing support. HeartMath Certified Trainer Program is rated 4.9 out of 5 by 168. Rated 5 out of 5 by Tia from It went straight to my core! It’s the link I have been missing and waiting for, both personally and professionally. Rated 5 out of 5 by Alain from A fantastic experience valuable information and experience and it is only the beginning of a life changing lifestyle personally and professionally. The process before attending the certification event prepares you to counciously transform your emotional baseline and resilience capacity so you may become that which you will train others to become. Rated 5 out of 5 by Vered from Exceptional Training! I attended the HeartMath Certified Trainer Program in Scottsdale. This training course exceeded my expectations. The instructors were all excellent- very well versed in the research and presented the content clearly, warmly, and professionally. I appreciated the opportunity to teach back the material and offer feedback to my colleagues. I am also grateful for the opportunity to practice the techniques frequently. I look forward to sharing this incredible research on resilience and all of the powerful techniques to help as many people as possible live a joyful, resilient, and coherent life! Rated 4 out of 5 by Will I Am from Amazing professional experience I am excited to implement practices in everyday use and spread reliance throughout the human services field. Rated 5 out of 5 by Juan Zuluaga from Totally Empowering They are really committed to help world get a better consciousness, and i am really proud to be part of this. Rated 5 out of 5 by kris63 from Attention to Detail! A very safe space to learn the tools and practice teaching them. I appreciated the attention to detail in field that was created and held, the presentation material and the after certification support that HeartMath gives to make sure that certified trainers can be as successful as possible. Rated 5 out of 5 by JLMiles420 from Transformative and Affirming! I came ready to learn more tools, research, and HeartMath technology...the proverbial deeper dive. I got what I came for plus a deeper internal appreciation that there is a "we" in this journey... the power of meeting and sharing with others seeking to be part of the solution!